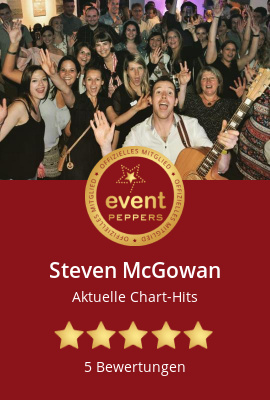 Steven McGowan – Live Musik, Solokünstler & Entertainer | Info – Welcome! Welcome to the homepage of musician Steven McGowan!! Steven comes from Donegal in Ireland but lives in Germany near the city of Wiesbaden. With acoustic guitar, bass drum, harmonica and fiddle, and a collection of over 500 SONGS, he always gets the party going with music tailored to the crowd! Steven is available for for all kinds of public and private parties. Weddings, Birthdays, Company Parties or Festivals! Send an email for a quote!